During pregnancy, your body undergoes tremendous change. Apart from the obvious physical changes like expansion of the abdominal region, hormonal releases can affect the function of your body’s internal systems. As your pregnancy progresses, the extra weight creates a shift in your body’s centre of gravity. Your supporting ligaments also soften. These factors can add stress to your body, causing problems like back pain, sciatica, insomnia, shortness of breath, swelling, high blood pressure and fatigue. Your osteopath can offer advice about managing these symptoms and demonstrate self-help techniques that you and your partner can use during your pregnancy. Your osteopath will also work with other health practitioners to ensure optimum care and open communication. Your osteopath’s aim is to assist the natural process of pregnancy and birth – maximising your body’s ability to change and support you and your baby with a minimum of pain and discomfort. 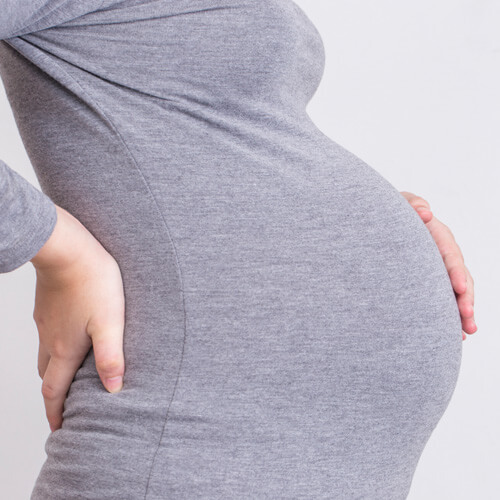 If you are experiencing pregnancy discomfort such as lower back pain sciatica, pelvic girdle pain, shortness of breath, neck, shoulder and upper back pain, insomnia, swelling, high blood pressure or fatigue we encourage to make an appointment to see your osteopath. Your osteopath will assist the natural process of pregnancy by aiding the body to adapt and align as the pregnancy progresses.